TMI? Get over it. It’s natural. When a nursing mom is engorged, the boobage is hard as a rock and sore like no other. When those juices are relieved, it’s beyond bliss. Enough said. If there is enough time in the day to get out of my pajamas, I have conquered the world that day. That it’s total horsesh!t when your partner says, “take a break”. Because really, that’s a lie. The chores will simply sit there until you get back from the “break”. Because of the above, there are just some days that kicking them in the nuts seems to solve some of your lingering frustrations. Is it just me or does the housework NEVER end?! I feel like I’m doing laundry nearly every day and the kitchen is like a spaghetti explosion every single day. I don’t get how the house is such a disaster all the time. I clearly recall only needing to clean the house once a week prior to baby! Your #2s are just not the same experience anymore. So why am I not supermodel thin?! That mirror is my worse enemy I tell you! Ever since that baby burst out of me, the mirror has been unkind. It’s like I see another human being in the reflection. Everyone will say “Omg, you look great!” and they may mean it, but it’s hard to see through the milk stains. That their little face(s) make all of the above tolerable. I can’t deny that his little face dismisses everything above. Because being a mommy trumps those tiny little problems. 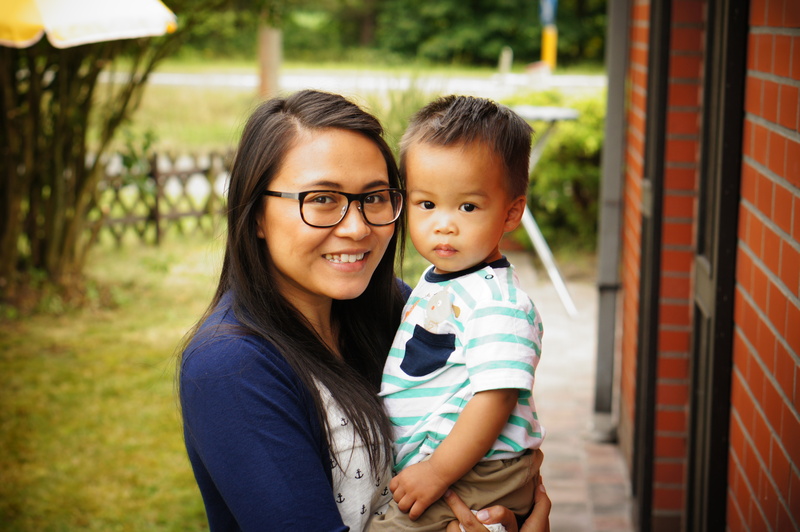 This past weekend, we went over to Lokeren, Belgium to little Leo’s pookan. “Pookan” refers to a Laotian ritual to bless someone. While I could go into detail on what it all entails and what it symbolizes, but that is a whole separate post for another day. I was going into the weekend thinking it would be crazy busy and rather stressful. I was pleasantly surprised that it was rather low-key. Don’t get me wrong, there were busy moments during the actual event but after the initial rush, it died out rather quickly. Here are a handful of pictures that I took while in Prague. We went to the Petrin Hill area and it was definitely a beautiful park. Rose gardens, manicured trees, and a beautiful view of the city. Getting there was a little bit of an adventure, but we made it. Prague is such a magical city! Both gothic AND fairytale in one little city. Their architecture is amazing. I just wanted to frolick through their cobblestone alleys, but I didn’t want to embarrass my family. We started our day off by walking to the Prague Castle. It was truly a beauty. With gothic cathedrals, medieval fountains and structures surrounding the castle it was truly a page out of a fairytale. We didn’t make it inside the castle because Ittybot was getting restless and we had several stops on our agenda. Next up, we walked over to the Charles Bridge. While walking towards the bridge, Ittybot fell asleep. It was the perfect opportunity to squeeze in a quick, 30 min thai shoulder and neck massage. It was AH-MAZING. Luckily, Ittybot stayed passed out on one of the massage chairs so we truly to go relax. Well, that was until they decided to do some legit Thai contortionist massage. They cracked my back in places I didn’t even know existed. SO GOOD. After the massage, we finally went across the Charles Bridge. It was definitely a sight to see. Once we crossed the Charles Bridge, we walked through alleys of souvenir shops. Puppets galore! It actually started to get quite creepy when there are 200 of them staring right at you! Eventually, we got to Old Town and it was amazing. Beautiful buildings and architecture. People from all over the world are gathered in the Old Town square to watch the astronomical clock. I could keep going and going, but the vlog has it all! 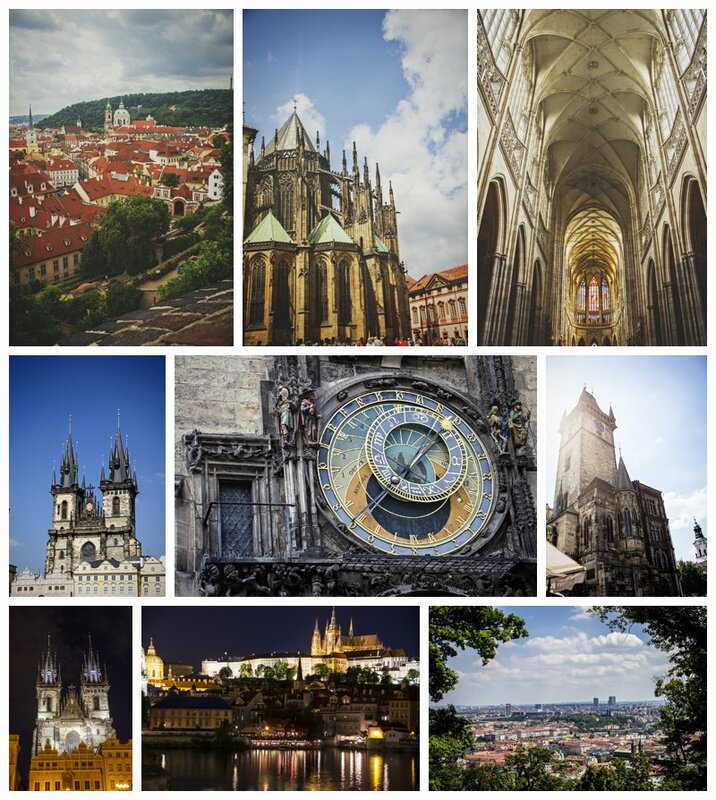 Prague has long been on my list of places to go in Europe. Unfortunately, after booking the trip, I got busy planning a bigger trip in November so I didn’t have a whole lot of time to get too excited about this trip. I did last minute planning, and by last minute it was about 4-5 days in advance! I don’t know about you guys, but that is VERY last minute for me. Here is the vlog traveling to Prague. We got in pretty late so we didn’t have much time to do anything other than grab traditional Czech food and get settled into our apartment we rented through airbnb. For $49/night we got a great deal! The apartment was a 5 minute walk to the metro station and we had mini markets and restaurants surrounding us that weren’t “tourist” prices! I highly recommend airbnb or other apartment rental sites. There is an apartment for just about every budget. We like the having a kitchen so we can store Ittybot’s milk and snacks in a large fridge. Ok, not just his snacks, ours too! Don’t get me wrong, we still love hotels every once in a while!